One of South Africa’s leading rugby players, Jean de Villiers was named captain of the Springboks in June 2012. He has played (as of December 2014) 106 times for his country, including a record 84 appearances at centre. Despite this outstanding record, he has been unlucky with injuries which saw him miss the Rugby World Cup in 2003 and all but 40 minutes of the tournament in 2007, which South Africa won. He was one of the Springbok stars in the 2011 World Cup in New Zealand, when South Africa reached the quarter-finals. He made his international breakthrough in the South African Sevens team that finished second in the 2001–02 World Sevens Series and third in the 2002 Commonwealth Games, moving up to the full Springbok team to play France in November 2002. It was in this match that he suffered a major knee injury that led to him missing the 2003 World Cup. 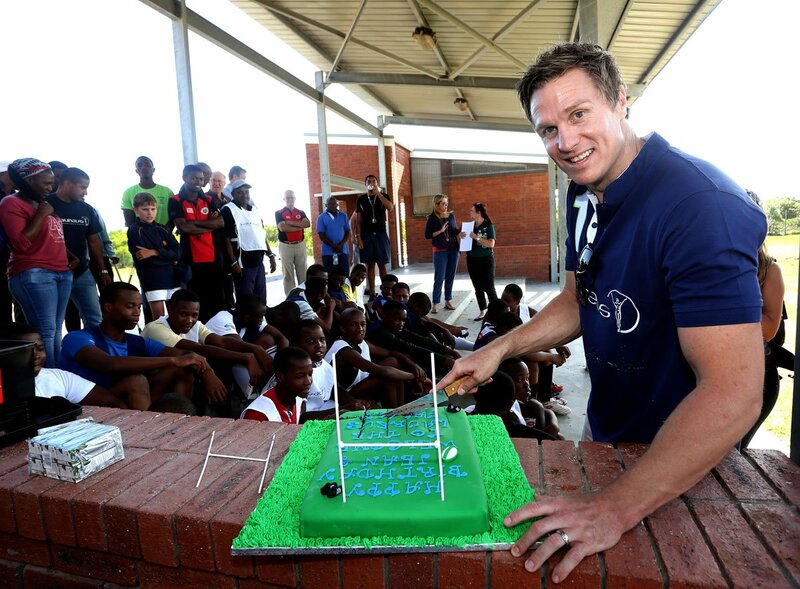 After regaining fitness, he became a key player for a revived Springboks team which won the Tri-Nations Championship in 2004 with De Villiers scoring three tries. In 2009 he was a vital part of the team which won a second Tri-Nations. De Villiers plays for Western Province in the Currie Cup and the Stormers in Super Rugby. A natural leader, he also captained both these teams during his provincial career. He also played one season for Munster in Ireland. He was named a Laureus Ambassador on December 1, 2014.